In the past 31 seasons, 30 players have been successful in obtaining a precious spot on the EGP series podium. 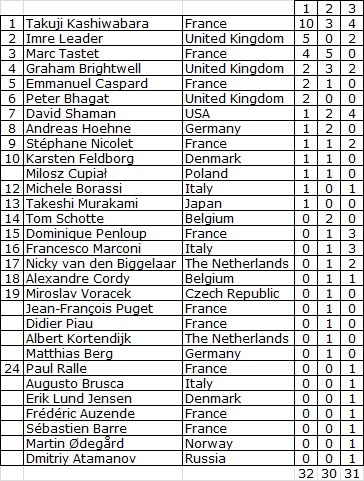 The perfect tie in the 1989 season between Karsten Feldborg and Takeshi Murakami is the reason why 32 golden, 30 silver and 31 bronze medals have been awarded. 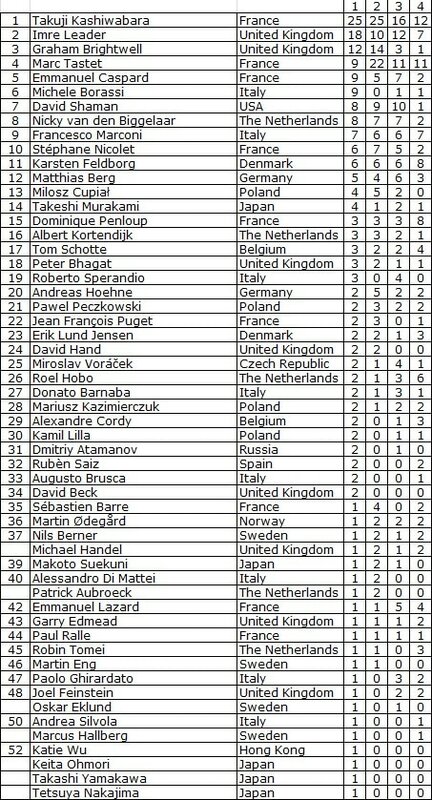 100 players returned from an European Grand Prix tournament with a (virtual) medal. In the table below can be seen that some players are pretty keen on silver or bronze medal.